If you are looking for a high school student resume example, you are probably a high school junior or senior - or you have just graduated. While writing your first resume will be a bit challenging, don't panic. Remember that every time you have tried something new for the first time, it was a bit difficult. You can do this. Once you conquer it, you'll be glad you did. This will be a very beneficial experience and it will certainly make future resume drafts easier! 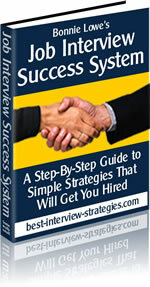 So, what do you need to know in order to create your first resume? Fortunately, you have everything you need at your fingertips (or in your brain). The information that goes into a resume is common information. So, relax and take it one step at a time. 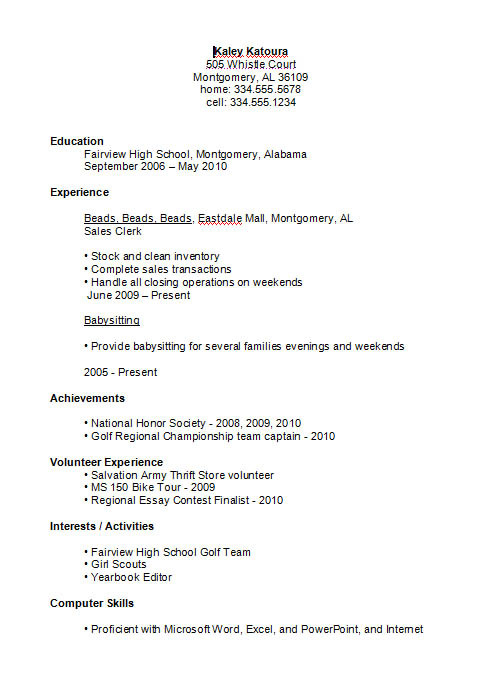 Below is a high school student resume example which you can use as a guideline for your own resume. Don't copy it, of course. Tailor your information to fit the resume format you see here. This particular resume format is called a Chronological Resume Format. Gather your information and place it on the page in the same places as you see in the student resume example below. When you are done, have a couple of people proofread it for you. If you can get a teacher to do so, this would be best. You don't want spelling errors speaking to your future employer before your qualifications do. Once you are finished, print out a copy on quality white paper and you're set! Good luck with your first job!